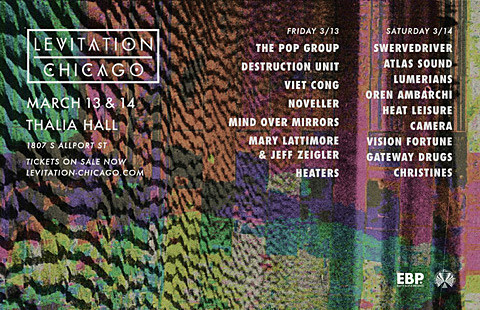 Levitation Chicago will be happening at Thalia Hall this weekend on March 13 & 14. 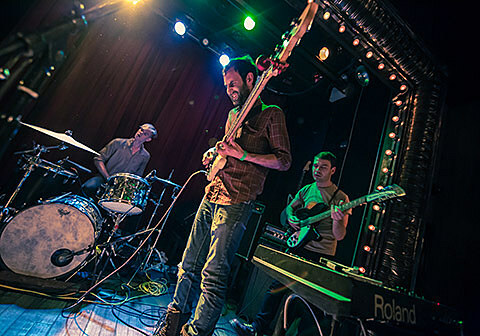 The event’s lineup recently expanded to include Destruction Unit, Noveller, Mary Lattimore & Jeff Zeigler, Atlas Sound, Heat Leisure, and Gateway Drugs, joining the likes of Swervedriver, Viet Cong, and The Pop Group. Two-day passes are sold-out but single day tickets are now available. Check out the complete lineup below as well some music from the performing artists here.